7 Dec, 2016 in comfort zone / income / profit / relationships by Minette Riordan, Ph.D.
Do you remember this movie with Tom Cruise? Have you ever had a client make you feel like this? 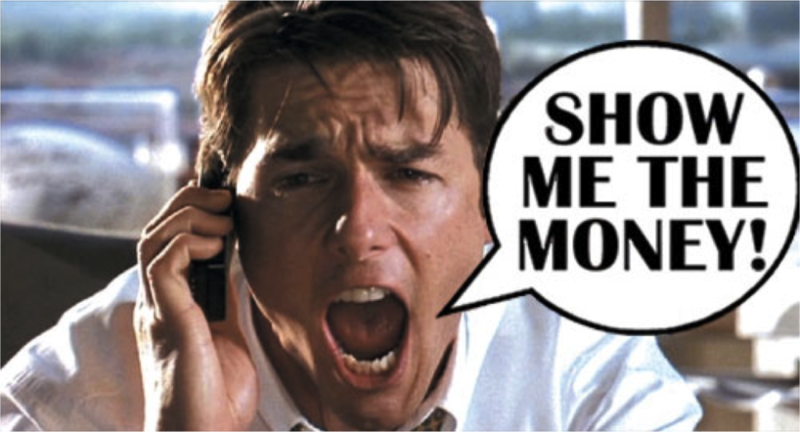 Have you ever felt both as desperate and as passionate about your business as Jerry Maguire? Do you ever think about how your relationship with money is impacting your life and your business success? The truth is that we all have relationship issues with money. No matter how much money we are making, we all have an income ceiling and we all have a family legacy that influences how we think and feel about money. Our family money legacy impacts our beliefs and abilities to ask for what we are worth. It impacts how we feel about debt and it influences all the decisions we make about how we save, spend or make money. What is the money story you grew up with? What is the core underlying money belief within that story? How has this story shown up in your life? What was their positive intention (for themselves)? Who did this story come from? What is there to love or be grateful for? What is there to forgive? Part of my money legacy showed up in how easy it was for me to create debt because I had a stepfather who would swoop in and rescue me, even though he felt that debt was bad and I should not be accumulating it. I realized I had very mixed feelings about debt and money and I needed to look a bit more deeply into how my stepfather’s language around money impacted my own beliefs and my business. He grew up during the depression and was always very careful with his money and never had debt. Richard was an amazing saver and he loved cash. He always kept thousands of dollars in cash on hand, just in case he needed it. My stepfather was also very generous and would always lend us money if we were in need, often forgiving the debt after we had paid at least part of it off. In my last business, I was grossing hundreds of thousands of dollars and still accumulating debt because of my unconscious belief that someone would swoop in to rescue me. 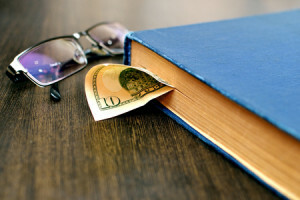 Once I realized that this belief was no longer serving me, I accepted 100% responsibility for the financial well-being of my company and was able to both make more money and pay down the debt. I encourage you to take a look at how your family money legacy is either supporting you or creating challenges for you. If you are ready to create a new family money legacy for yourself and for the people who are important to you, I encourage you to join me live in Los Angeles, California for 3 days spent working on your business at the Creative Business Summit: Dream. Design. Profit. During our 3-days together we will create a beautiful, colorful and visual business plan that will help you to reach your financial goals month after month! We will also focus on mastering your money and marketing mindset so that you are confident, excited and motivated to build your business. We ask for a $197 refundable seat deposit. This is just to make sure that I am prepared for you to be there and that we have enough seats and workbooks for everyone. You will get your $197 back on day one of the event. This workshop is my gift to you! I would love to help you reach your money goals in 2017. I know how challenging it can be to work from home, alone, and wonder what to do next to grow your business. Come join our fun, colorful tribe of creative women entrepreneurs who are committed to attracting more clients, increasing their income and having more creative freedom! I guarantee you have never had this much fun working on your business!